Our company is Gateway Bookbinding Systems Ltd. Our product is PLASTIKOIL® - The most attractive and functional mechanical binding system on the market. Made from the highest grade compounds, PLASTIKOIL® plastic spiral binding sets the industry's standards. Strong and durable - yet flexible and lightweight – PLASTIKOIL® is CPSIA compliant (Lead free and phthalate free). PLASTIKOIL® bound books lay flat when opened - with the ability to fold back a full 360 degrees. Pages will never pull apart and the coil will not bend or distort during shipping. PLASTIKOIL® is available in 45 different colors - in coil diameters from 6 mm (1/4") to 50 mm (2"). Custom colors; custom lengths; all pitch options. 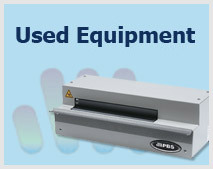 Gateway Bookbinding systems specializes in plastic spiral binding. It's what we do - it's all that we do - 24 hours a day. We understand the product and we understand the process - better than anyone. We have been manufacturing plastic spiral binding products and equipment for over 50 years. PLASTIKOIL® is currently being manufactured in 24 different countries around the globe. 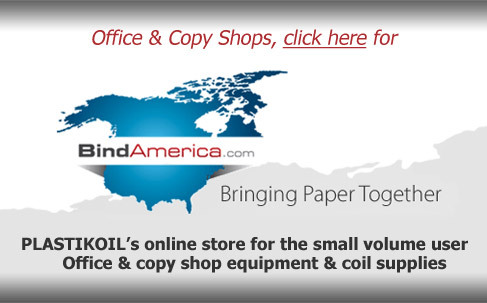 As the world's most extensive coil manufacturer, our objective always has been and continues to be that of dedicated customer assistance and support - working with our customers to provide them with the most feasible, most economical solutions for all of their plastic spiral binding needs. Gateway Bookbinding Systems Ltd. – The Plastic Spiral Experts.